"Everything in life is a drawing, if you want. Drawing is quite essential to knowing the self. Art that survives from one generation to the next is the art that actually carries something that tells society about self." "If you're going to be a visual artist, then there has to be something in the work that accounts for the possibility of the invisible, the opposite of the visual experience. That's why it's not like a table or a car or something. I think that that might even be hard for people because most of our visual experiences are of tables. It has no business being anything else but a table. But a painting or a sculpture really exists somewhere between itself, what it is, and what it is not - you know, the very thing. And how the artist engineers or manages that is the question." "For me the kind of art experience where you go beyond the cognitive levels is the big hit...[when you can] suddenly climb Mount Everest, because it's so transforming, truth-yielding, energizing, and renewing. That's what good artists can give you." "I consider myself a servant, and what I'm serving is mankind and society." "Each person, everyone ever born, has a unique scale. The day you find it is a day you remember. It changes your life. Your parents may determine your size, but you determine your scale." "Human experience is a constant struggle between the real and the unreal." "The key to the Turbine Hall project is scale. A seed wants to grow; it has growth potential. Sometimes I start drawing on a piece of paper and can hardly keep it on the page." "I like very much this combination where you could simultaneously make the most intelligent thing that could be made at the same time it would look completely dumb. And between the dumbness and the staggering intelligence, it opens a world." "If you can appreciate the work of an artist a generation younger than you are and appreciate it with the same intensity and the same completeness that you can of your own generation, you get art in your life that you never would have had, and you can bring that back into your own confines and improve your work." At the age of five, Richard Tuttle realized the profound impact which art would have on his experience of the world. In an interview with curator Molly Donovan, Tuttle recalls sitting in his childhood living room and watching his grandfather draw from across the room, and being mesmerized by the harmony he sensed between "eye/brain, hand and heart/spirit." By his first day of kindergarten, Tuttle knew that he too would be an artist: when the teacher passed out paper and a box of crayons, he remembers, it felt like the first day of his life. He believes that spirit of the work he created as a very young child continues to surface throughout his practice. Growing up in Rahway, New Jersey, Tuttle was often taken by his mother to the Metropolitan Museum of Art, where he loved viewing the Assyrian winged bulls. As he circled the golden sculptures, the young artist-to-be was amazed by how his movement around the figures seemed to change the number of legs they possessed. Tuttle cites this experience as an early example of his exposure to the possibility of accessing the invisible through art: its capacity to allow us into a hidden space, beyond everyday perception. Although Tuttle always wanted to attend art school, his parents disapproved, and under familial pressure he decided to join the Air Force. His interest in flying, he later stated, stemmed from a desire to fly at twice the speed of sound; in a later conversation with the artist, Henry Geldzahler, curator at the Metropolitan Museum of Art, suggested that Tuttle had instead found a way of doing this by painting. 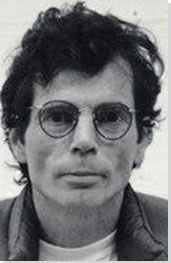 Despite his parent's disapproval, Tuttle ultimately went on to study art, philosophy, and literature at Trinity College in Hartford, Connecticut. The majority of his cohort were not concerned with contemporary art, but when the curator Sam Wagstaff visited his school, Tuttle recalls that pupil and mentor instinctively gravitated towards one another. Wagstaff taught Tuttle everything he had learned from the great scholar of Renaissance art Richard Offner, while Tuttle expanded his frame of creative reference by working on theater sets and editing a literary magazine. On graduation, Tuttle made the decision many young artists had made before him, and moved in 1964 to New York City. He worked as an assistant at the Betty Parsons Gallery, and after just a year of employment was given his first solo exhibition at the Gallery. One evening, Tuttle recalls seeing his drawing Hill from across the gallery space, and realizing that the piece was directly influenced by the first drawing he had made in kindergarten. Through Parsons, Tuttle met the Minimalist artist Agnes Martin, who would become a close friend and mentor. 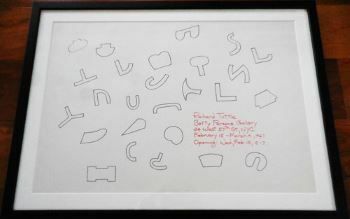 Shortly after their introduction in 1964 Tuttle purchased one of her drawings, a work which he still owns today. He has stated that Martin's tenacious energy allowed her to embody the intuitive approach and 'all-over' compositional style of Abstract Expressionism while simultaneously spearheading the next significant movement in modern art, through her repetitive, line-based drawings and paintings. 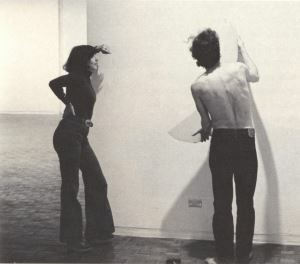 In 1975, Tuttle's first survey exhibition was held at the Whitney Museum of American Art, curated by the critic and gallerist Marcia Tucker. The exhibition focused heavily on Tuttle's non-traditional 'drawings' composed from string laid out on the floor, and received such negative reviews that Tucker was fired for overseeing what critics deemed "a pathetic attempt to master [the gallery's] vast empty space." Despite these carping assessments, both artist and critic would go on to find acclaim, with Tucker opening the New Museum for Contemporary Art in 1977, and Tuttle now recognized as one of the most significant North-American artists of his generation. Since his 1975 exhibition, Tuttle has built up a body of work defined by its depth and diversity. Hard to pin down to any one movement or stylistic categorization, his practice has evolved a visual language all of its his own. Using everyday materials - string, graph-paper, wire mesh, bubble wrap, cardboard, plywood - Tuttle creates intriguing works in which conceptual rigor and formal effervescence meet. In sharp contrast to the tendency of his male contemporaries to employ raw industrial materials on a grand scale - see Mark di Suvero's calligraphic use of steal I-beams, or the granite biomorphic forms of Isamu Noguchi - Tuttle's poetic sensibility finds expression in delicate, ephemeral works often no larger than paper-weights. As art writer Paul Gardner puts it, "the idiosyncratic Richard Tuttle offers an intimate, more philosophical vision that turns the concept of an impersonal practice upside down." Speaking about what drives his work, Tuttle often refers to his interest in defining the 'invisible'; using visual, tangible forms to hint at the forms that lie just beyond the thresholds of our sensory perception. This near-spiritual pursuit is reflected in works not intended to be perceived exactly as they are, but as gestures towards hidden forms and presences. It is perhaps for this reason that some of his works seem underwhelming on first encounter. For an early exhibition at the Whitney, Tuttle placed a number of small works around the gallery, including a coffee stirrer with a touch of paint on its tip exhibited by itself on a 40-foot wall. Reputedly, a guest approached Tuttle and said, "Mr. Tuttle, do you have any idea of the cost of real estate in this part of town?" , an anecdote which capture's Tuttle's dedication to playfulness, and his ability to use and occupy gallery space in ways people had never considered before. Curator Connie Butler recalls seeing his small works presented close to the skirting board of the gallery, occupying a completely new display space, in a way that encouraged her and other viewers to readjust their visual and physical response not just to the art but to the gallery itself. 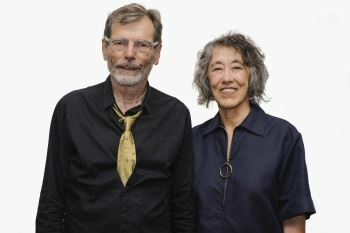 Today, Tuttle splits his time between New York City, Abiquiú in New Mexico, and Mount Desert, Maine, travelling with his wife, poet Mei-mei Berssenbrugge. Partly as a result of their time in New Mexico, Tuttle has become interested in so-called 'vibrational medicine', an alternative therapeutic system which holds that the human body takes on three forms: the physical, the "etheric", and the "astrospheric" bodies, affirming Tuttle's belief that human beings are "in fact mostly light." Despite these esoteric beliefs, Tuttle continues to hold, as he has throughout his career, that art first and foremost serves society. In reference to a 2005 retrospective exhibition of his work held at the San Francisco Museum of Contemporary Art, Tuttle spoke of defining a new genre of art that "aspires toward a total living art that people can use to make their lives better." In particular, Tuttle is an advocate of the capacity of art to heal: "I believe society is natural, and nature tries to heal itself, to become healthy, just as we individuals would turn towards being healthy. I see art as a part of that whole procedure." When in New York, Tuttle continues to visit the Metropolitan Museum of Art once a week, citing the Met as a tremendous accessible public resource. During the early part of his career, Tuttle was amongst various artists, now associated mainly with Conceptualism, who shifted public perceptions of what art could be, in both physical and conceptual terms. No longer restricted to categories such as 'painting' and 'sculpture', art - Tuttle's art - could instead be the document of a process or thought, a simple form perhaps constructed from very simple materials, but which gestured towards something ineffable, beyond the physical boundaries of what was presented. As curator Robert Rainwater puts it - using the language of the Conceptual art critic Lucy R. Lippard - Tuttle 'dematerialized' art, making the concept conveyed as significant as the physical or visual content of the artwork. At the same time, there is a visual warmth and homely materiality to much of Tuttle's work. We recognize its constituent materials as we walk around our homes and neighborhoods, performing our daily rituals. This evident love of the quotidian counterbalances the philosophical imperatives of Tuttle's practice, resulting in a body of work that is both inviting and intriguing to the viewer. In spite of his sociological aims, Tuttle's legacy is largely within the world of 'high art', with his works bought and sold at high prices and regularly exhibited at major museums and galleries. Art critic Michael Kimmelman states that "many younger artists today revere him almost as a shaman. Much of the work you see in galleries now - installations of hum materials, low-key abstractions, spare Zen-like interventions of one sort or another - owes a debt to him." Artists influenced by Tuttle's work include Jim Hodges, Sarah Sze, and Thomas Hirschhorn. Attempting to move beyond traditional painting methods through his early work, Tuttle began to consider the possibilities of the bare canvas. Purple Octagonal consists not of a canvas pulled across a rectangular stretcher and set behind a frame in preparation for the painter's brush, but an irregularly shaped, eight-sided canvas nailed directly to the wall. Unprotected, the canvas is intended to bend, fold, and crease when installed, moved, or placed in storage. The wrinkles in the fabric reflect this gradual process of wear and tear, a physical appearance which reflects the life of the work beyond the gallery. As viewers, we are invited to imagine the piece being removed from the wall and folded up, or taken down and replaced at a moment's notice. While the gesture of presenting an artwork as the document of a process is exemplary of its time and place - New York in the 1960s - the processes which this crumpled, irregularly shaped object invites us to imagine are not the austere philosophical disciplines of Tuttle's Conceptualist contemporaries, but the routines of everyday life: eating, working, socializing. By presenting a piece of fabric which seems to bear the marks of regular and informal use, Tuttle establishes a conceptual link between the painter's canvas and the less precious fabrics which we surround ourselves with every day: above all else, the piece resembles a table-cloth. Tuttle's decision to hang the work with nails, and the scrappy, organic-seeming shape of the canvas, challenge the idea of the work's preciousness: we wonder if the sides were cut intentionally, or whether the shape has been assembled from discarded sections of existing frames. Has a scrap sheet of canvas been used? Purple Octagon is an important early work, indicative of Tuttle's homely approach to Conceptual Art. Though he should no more be exclusively associated with this movement than any other, his invitation to ruminate on the rituals of the everyday bears the distinctive marks of conceptual subtlety and playful humility which characterize his practice.